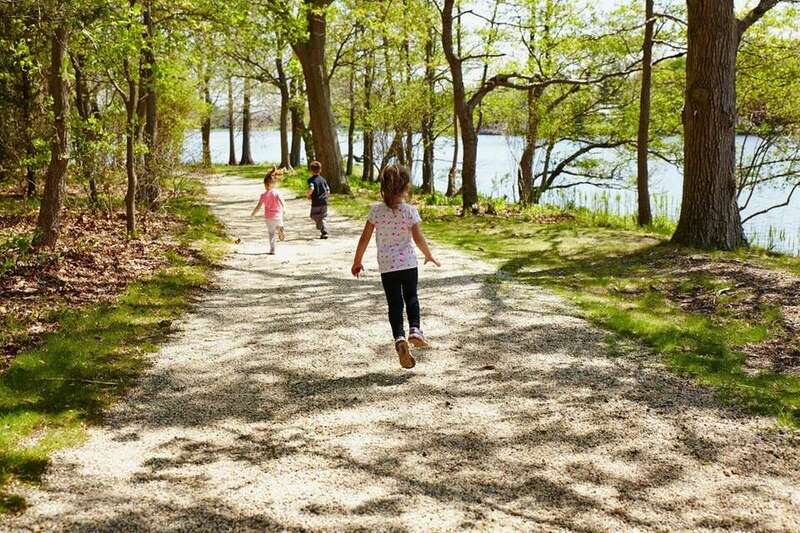 Now that the weather is getting warmer, you may be looking for fun things to do with your family on Long Island. Here, we found 35 things to help you plan a fun-filled day. 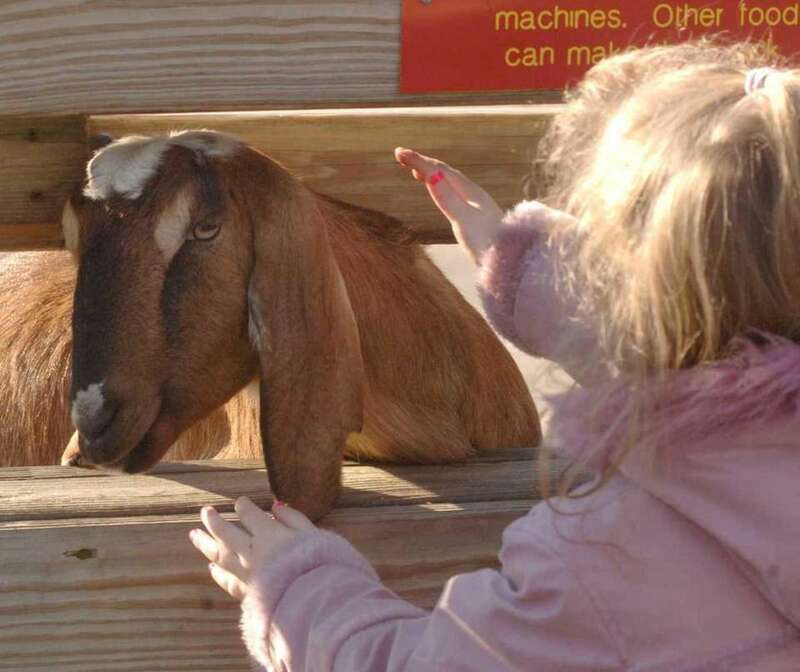 Mom and Dad can enjoy a glass of wine and then head over to the petting zoo to feed the animals at Martha Clara Vineyards in Riverhead. You'll see a potbellied pig, donkeys, Highland cattle, llamas and horses. 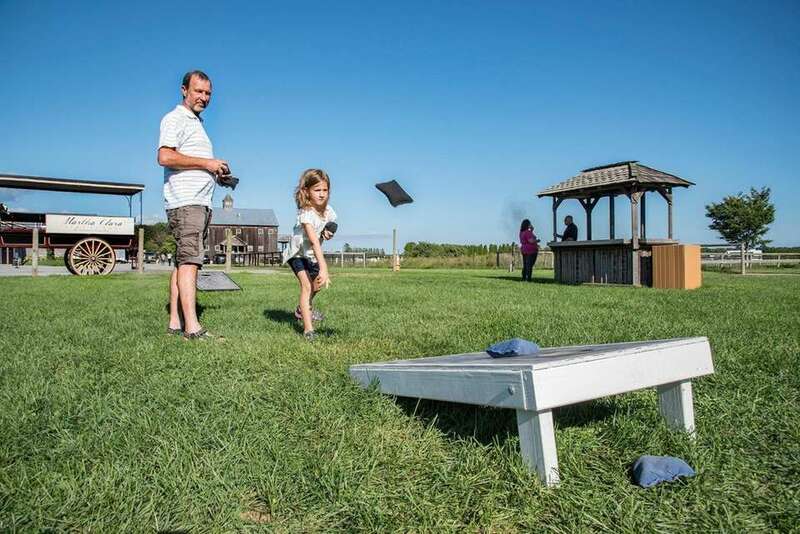 Outdoor games, like Corn Hole, are also available for families. From June-October, you can take horse-and-carriage rides around the property; 631-298-0075; marthaclaravineyards.com. 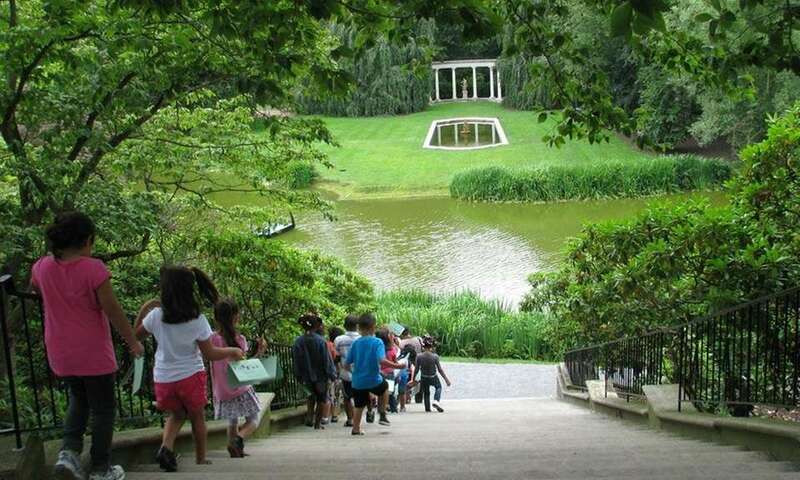 Old Westbury Gardens is home to a perennial and rose gardens, trails, lakes, picnic areas and more. There are also many kids' events, plus mini log cabins to play in. Call for fees; 516-333-0048; Old Westbury Gardens. 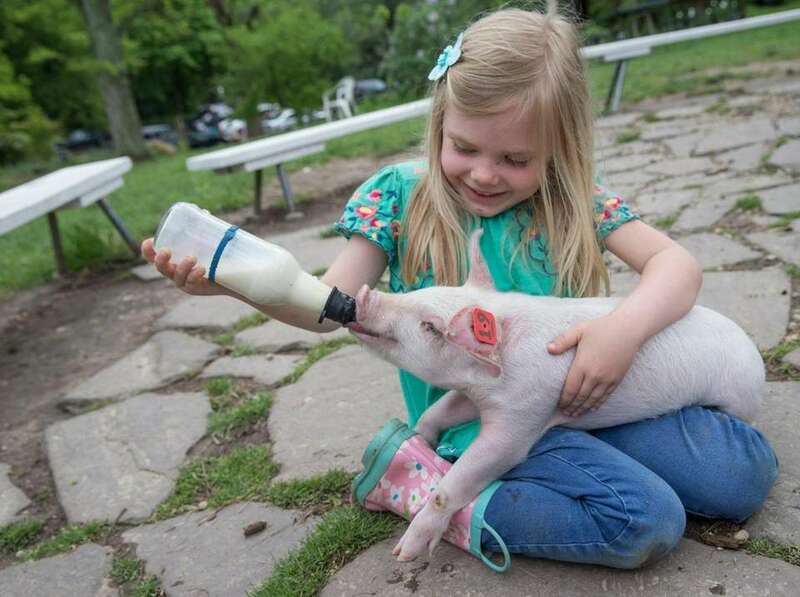 During the warmer months at White Post Farms in Melville, kids will enjoy the animal petting zoo, bird aviary, playgrounds, train rides and family entertainment. You'll also find dry and wet inflatables, depending on the weather. Call for fees; 631-351-9373; www.whitepostfarms.com. 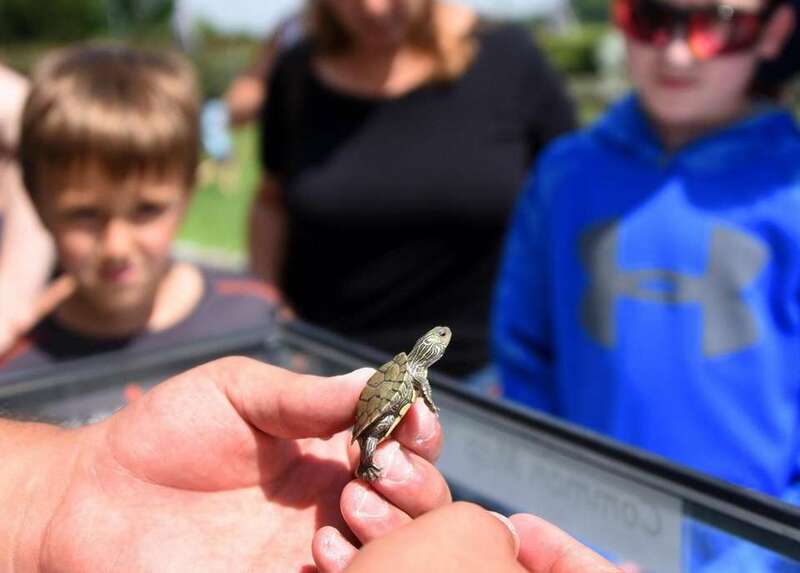 Not only will you see fish, reptiles and amphibians at the Center for Science Teaching and Learning at Tanglewood Preserve (1 Tanglewood Rd., Rockville Centre), but you'll also see baby alligators and other rescued animals. Kids can also learn about science and participate in programs and workshops throughout the year. 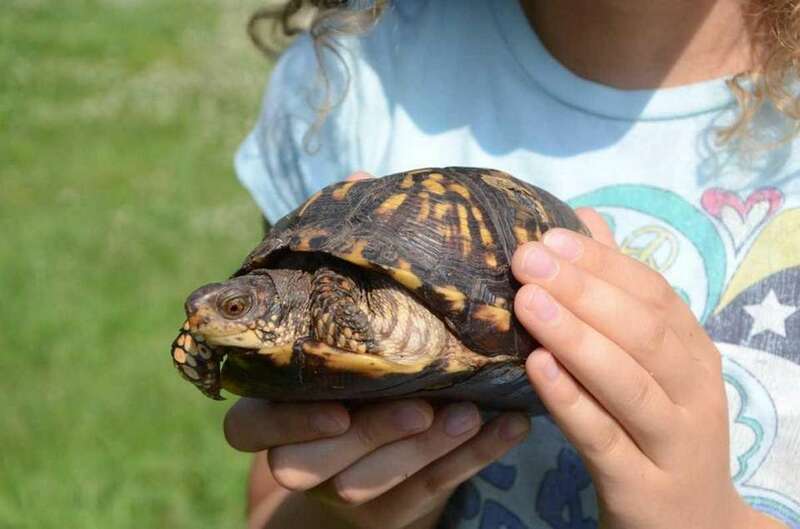 Additionally, 11 acres of park and preserve at Tanglewood make great use for exploring nature trails and pond-fishing; 516-764-0045; cstl.org. 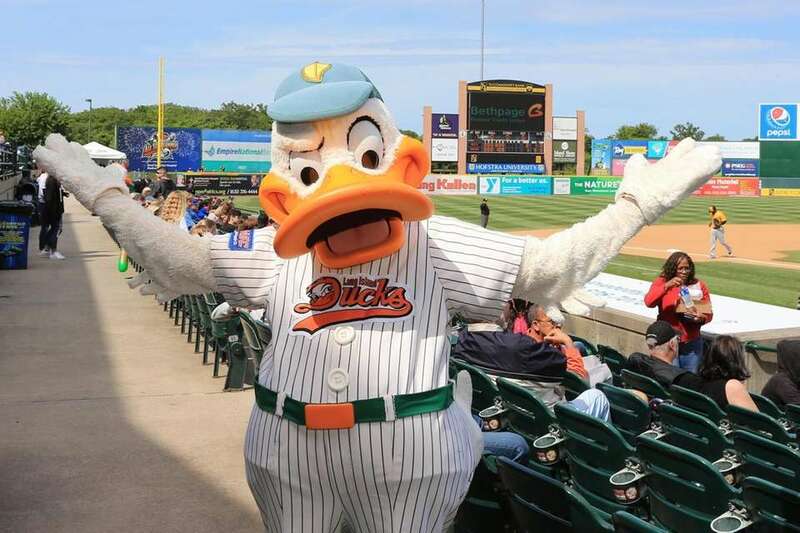 Take your kids out to a ball game and route for your home team at Bethpage Ballpark (3 Court House Dr., Central Islip). Quacker Jack, the Ducks Mascot, appears at each game. Visit LIDucks.com for game schedule and more information. The Bayard Cutting Arboretum in Great River is a botanical garden that runs along the Connetquot River, with five nature walks: pinetum, wildflower, rhododendron, bird-watching, swamp cypress and assorted trees. Call for fees: 631-581-1002; bayardcuttingarboretum.com. 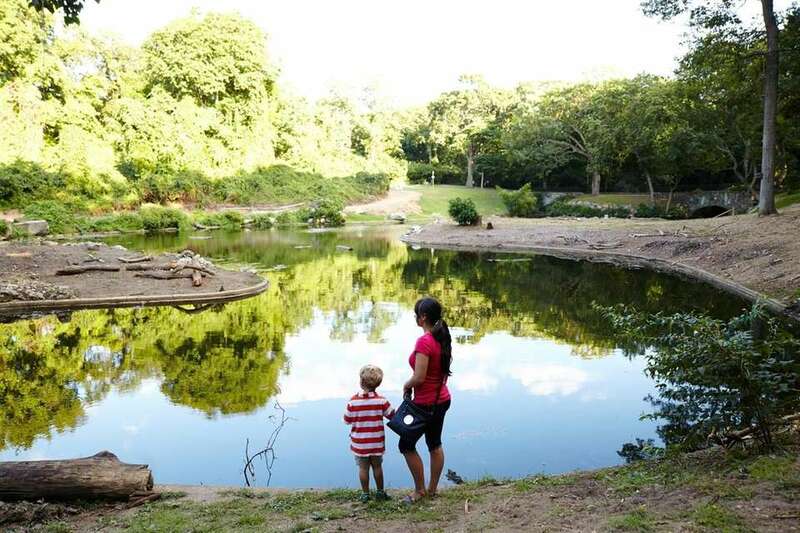 The Holtsville Park, Ecology Site and Wildlife Center in Holtsville features a large playgrounds, biking paths, an outdoor pool and a petting zoo; free; 631-758-9664; brookhavenny.gov. There's so much to do at Christopher Morley Park in North Hills. 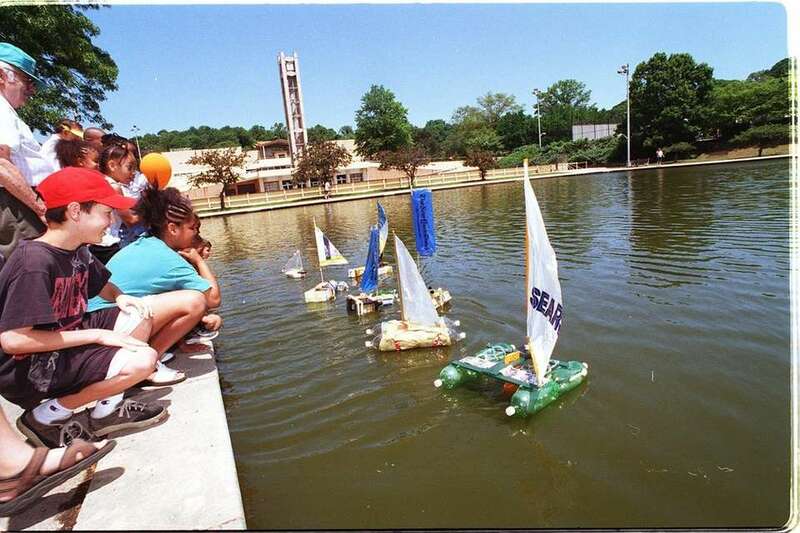 There's a boat basin for model sailboats, tennis courts, a 9-hole golf course, playgrounds, jogging course, shuffleboard, baseball fields and more. During the summer, take a swim in the pool and in the winter, grab your skates and head to the outdoor ice rink. Call for fees; 516-571-8113. 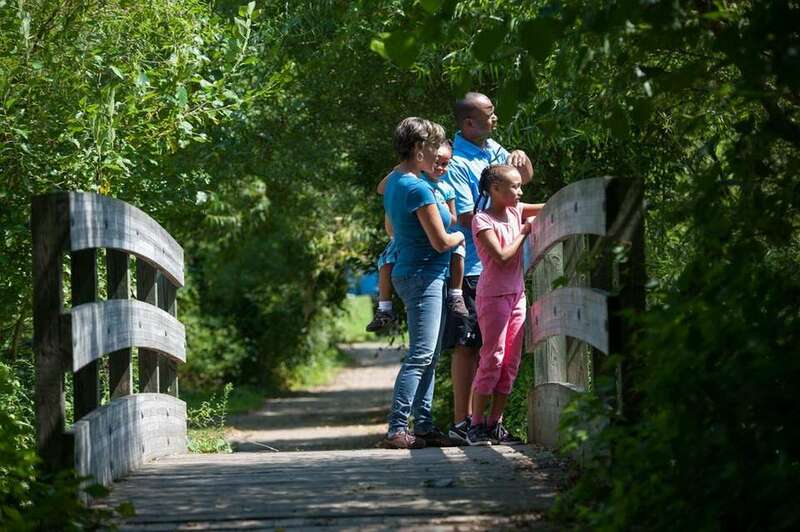 There are five miles of nature trails at Tackapausha Museum and Preserve in Seaford, along with educational programs and exhibits on Long Island wildlife, plants and more. Call for fees; 516-572-0200. 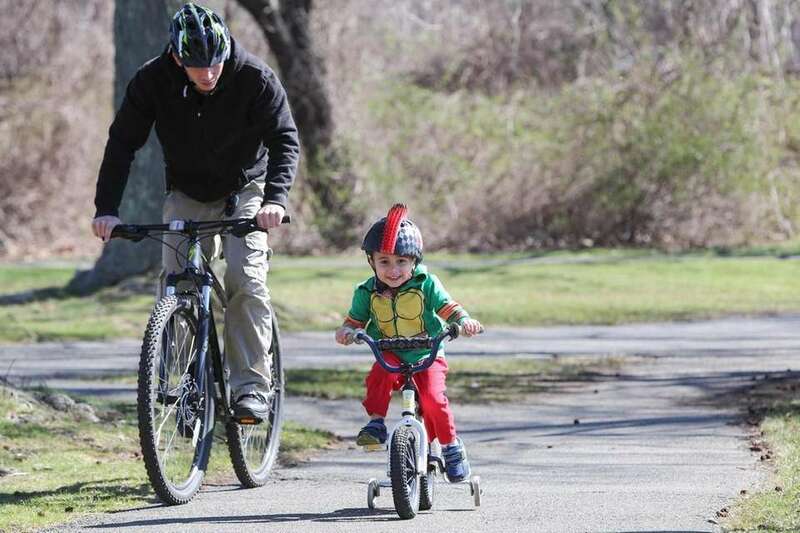 Belmont Lake State Park in North Babylon features more than two miles of flat bike paths along a picture-postcard scenery. A stone bridge and a small waterfall are highlights of a loop that also runs through woods flanked by benches and exercise stations. Take a photo at the War of 1812 cannons on the southwest shore of Belmont Lake. Lock up the bikes to shop for souvenirs in the gift shop, or pedal around the lake in a paddleboat; 631-667-5055, parks.ny.gov. 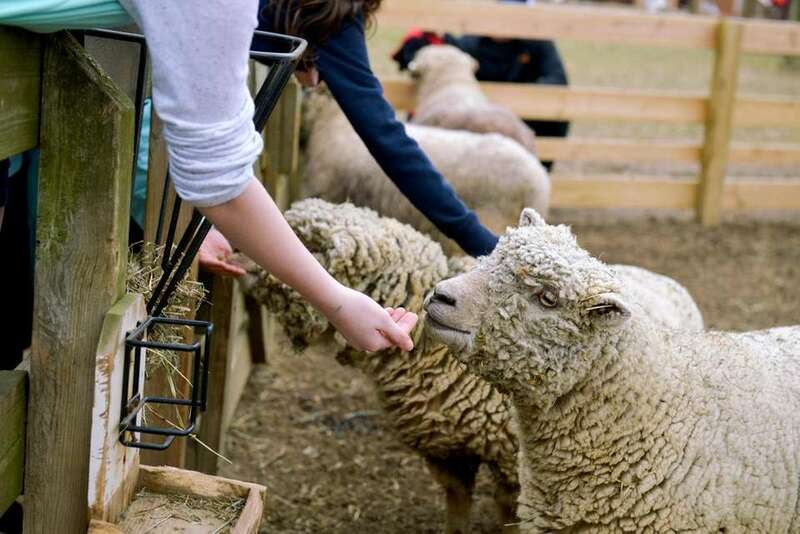 Benner's Farm in Setauket offers many workshops, festivals and special events during the year, including time to play, feed and care for the baby animals on the farm. Call for fees; 631-689-8172; bennersfarm.com. 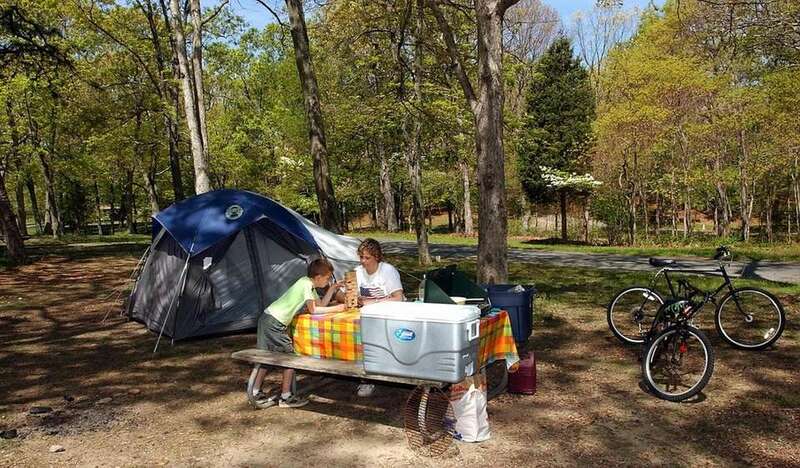 The camp grounds at Wildwood State Park in Wading River features rest rooms, showers, grills, store (summer), fishing a hiking trail, sand volleyball court, basketball hoops and a ball field. In the winter months, you can go cross-country skiing. Call for fees; 631-929-4314. Outside this traditional library is an outdoor classroom, an all-natural environment for kids to play and learn. The Nature Explorium at the Middle Country Library in Centereach. This hands-on environment features areas for digging and playing with dirt, climbing and crawling with wooden logs, building with wooden blocks, art and music using natural materials, planting, and a water section; 631-585-9393; mcplibrary.org. This beautiful quarter-mile nature trail features a purple dinosaur, a springy, climbing station and more. Call for fees: 516-571-7900; thesandspointpreserve.com. 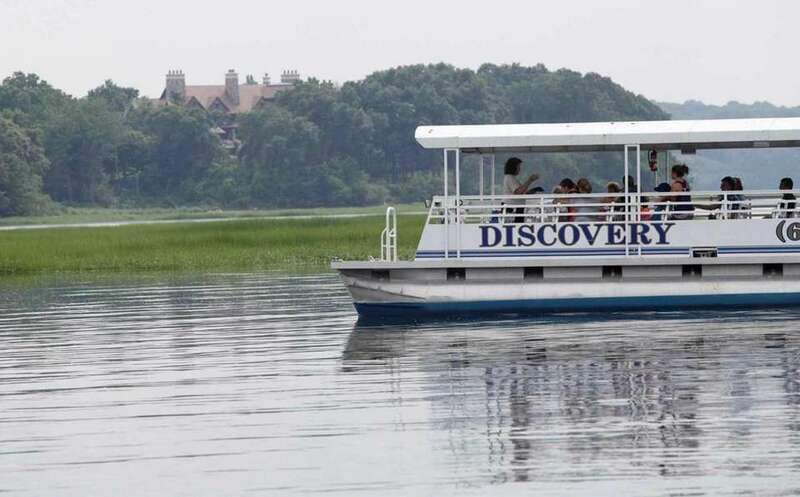 Learn about the North Shore's wetlands ecosystem aboard the "Discovery" in Stony Brook. The 90-minute sightseeing tours aboard a 35-passenger pontoon boat are led by a naturalist. Trips leave morning, midday and at sunset. Call for fees; 631-751-2244; wmho.org. The Cold Spring Harbor Fish Hatchery and Aquarium in Cold Spring Harbor features the state's largest collection of freshwater turtles. You'll also see freshwater fish and amphibians. Call for fees: 516-692-6768; cshfha.org. 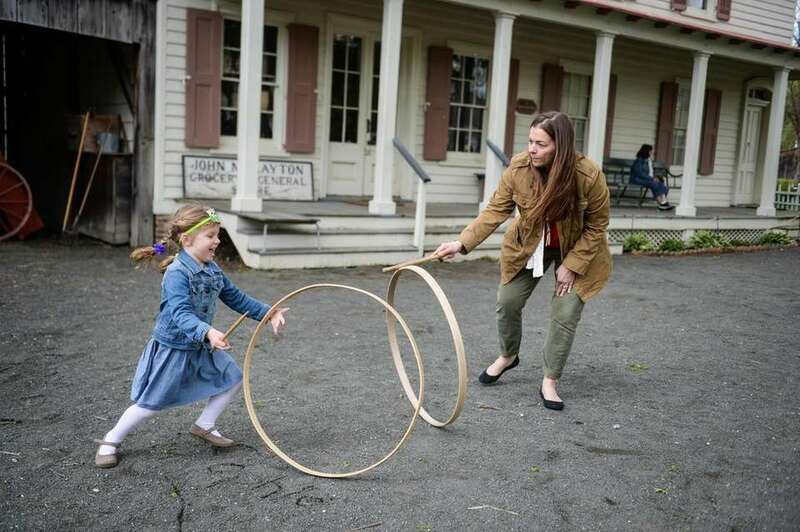 Head back to the 1800s at Old Bethpage Village Restoration in Old Bethpage to find a Long Island community with 51 historic buildings. Check out the Layton General Store, District #6 Schoolhouse and Powell Farm with animals, carriage shed, smokehouse and more. Costumed staff members demonstrate crafts such as hat making, weaving and open hearth and wood stove cooking, plus military re-enactments. Call for fees: 516-572-8400; obvrnassau.com. 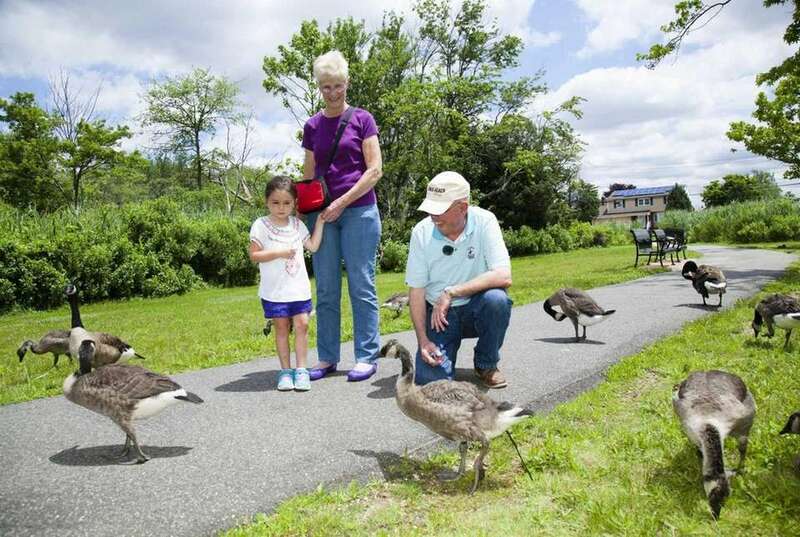 The Quogue Wildlife Refuge (3 Old Country Rd., Quogue) features seven miles of walking trails, forests and ponds. You'll also see a variety of wildlife, including bobcats, falcons and owls who call the Refuge their home. The Refuge also offers paddling events, Earth Yoga and more. Be sure to also check out their guided kayak programs that are run year-round; 631-653-4771; quoguewildliferefuge.org. The Hallockville Museum Farm in Riverhead shows what farm life was like on the North Fork from 1760 to 1930. 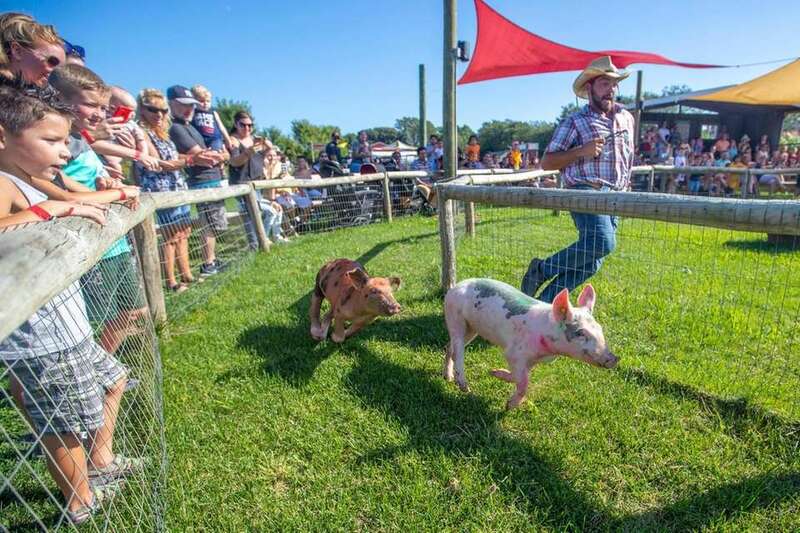 There are many festivals throughout the year, such as the annual Fleece and Fiber Festival and Fall Festival with a petting zoo, hayrides and more. 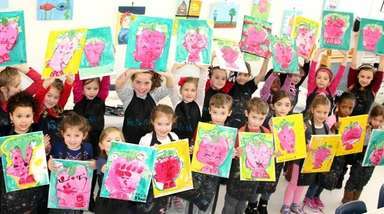 Call for fees; 631-298-5292; hallockville.com. 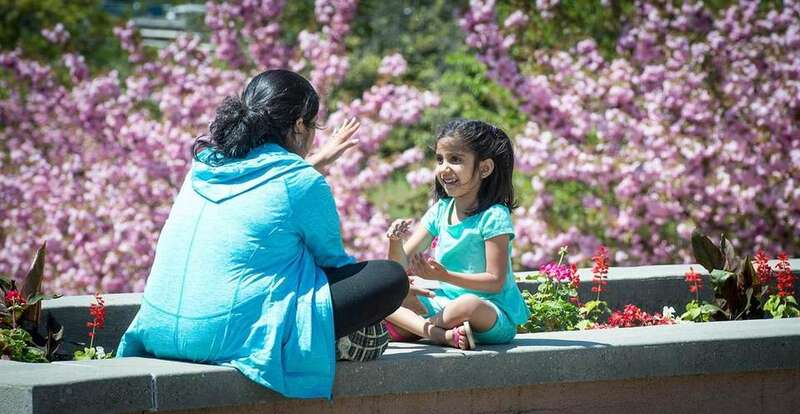 Pack up your family and head to the Planting Fields Arboretum in Oyster Bay for a picnic lunch. Then, check out the nature trails, rose garden and head to Coe Hall Mansion for a self-guided tour. Call for fees; 516-922-9200; plantingfields.org. 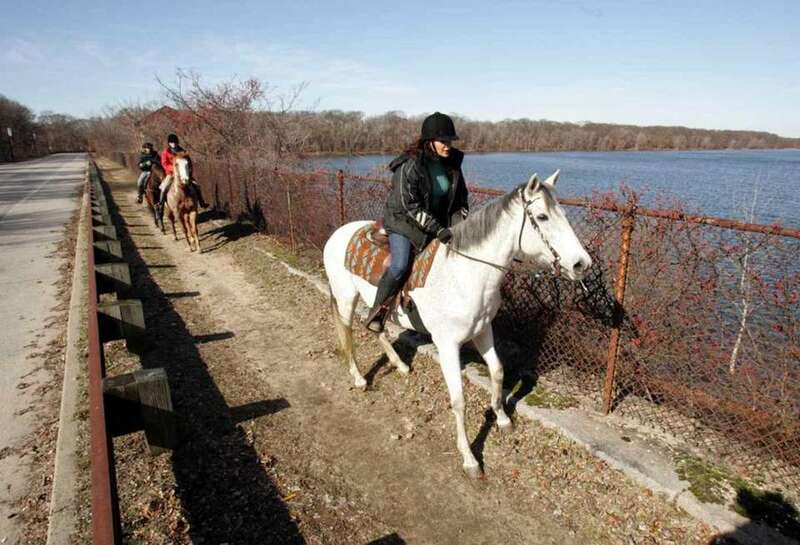 Spend an hour trotting along the bridle paths at Hempstead Lake State Park in West Hempstead. The stables are privately owned by Lakewood Stables. Call for fees; 516-486-9673; lakewoodstables.com; park information: 516-766-1029. 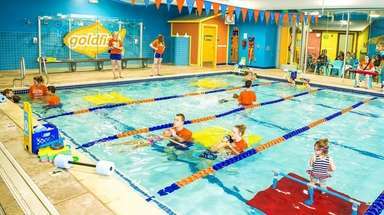 Plan an adventurous day at Boomers Family Fun Center in Medford. 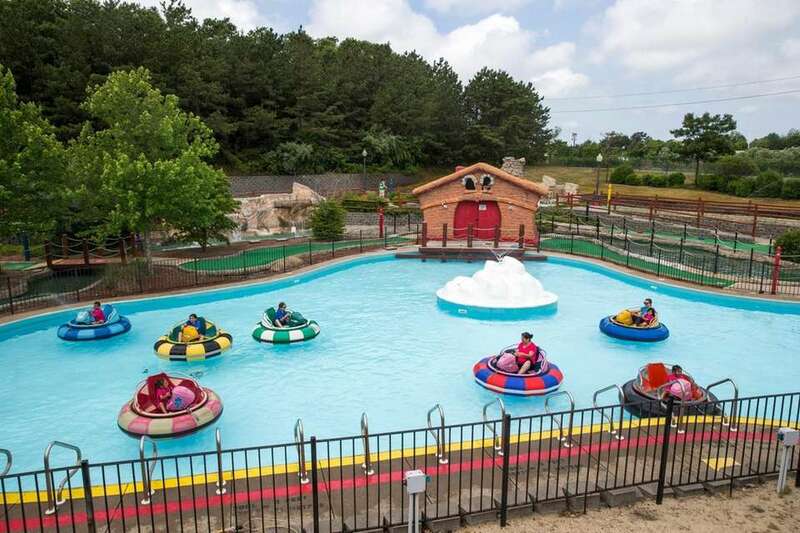 Kids can ride the bumper boats, carousel, roller coaster, go-karts and more. Or, climb up the 20-foot rock-climbing wall, play miniature golf or head to the batting cages for a fun day. Call for fees; 631-475-1771; boomersparks.com. There's so much to do at Eisenhower Park (1899 Hempstead Tpke., East Meadow). Families will find three playgrounds, a climbing area, a Let All The Children Play accessible playground, sprinkler park, mini-golf, batting range, tennis, playgrounds, jogging trails, bike paths, model boating and more. Pack a family picnic and spend the day; 516-572-0348; nassaucountyny.gov. 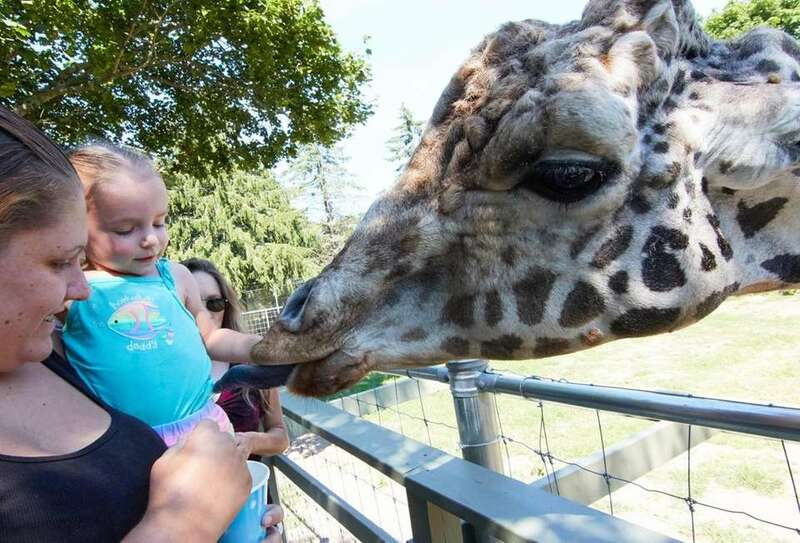 At the Long Island Game Farm in Manorville, kids can bottle-feed baby animals, hand-feed a giraffe and see kangaroos, buffalo, ostriches, zebras and more. 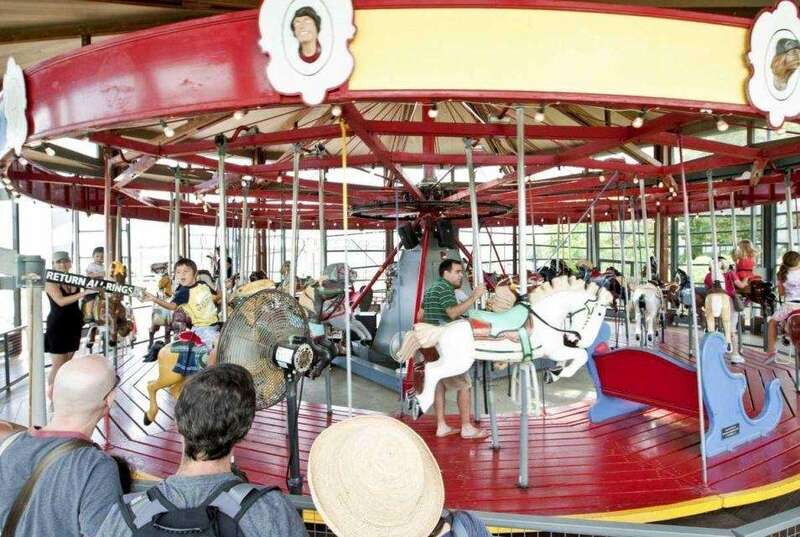 There's also a train ride, carousel, tea cups and pony rides. Call for fees; 631-878-6644; longislandgamefarm.com. At Harbes Family Farm and Vineyard in Mattituck, you'll find a fruit and veggie farm stand in the summer, and a festival, corn maze, hayrides, pumpkin-picking and more during the fall. 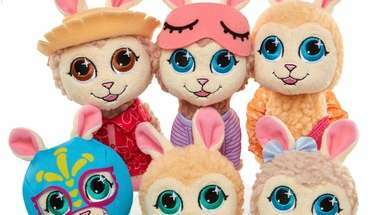 During the Barnyard Adventures, kids can learn about baby animals and participate in games and activities; harbesfamilyfarm.com. 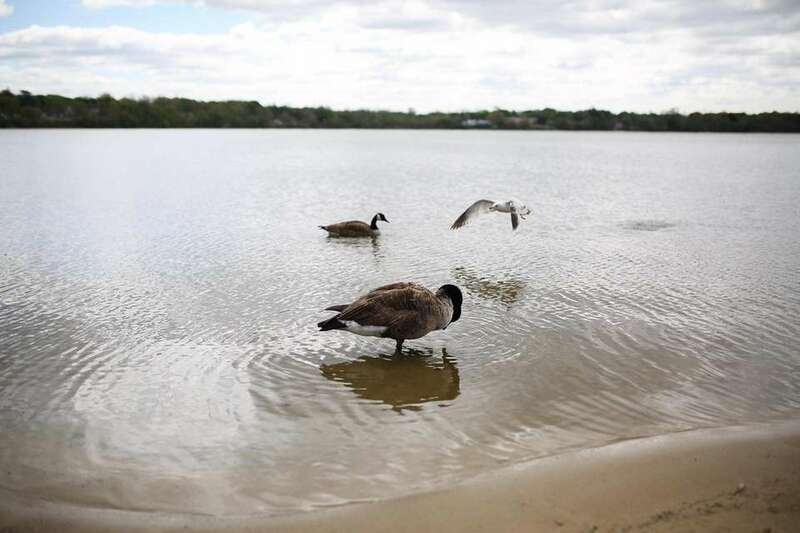 Watch the ducks at Lake Ronkonkoma County Park. 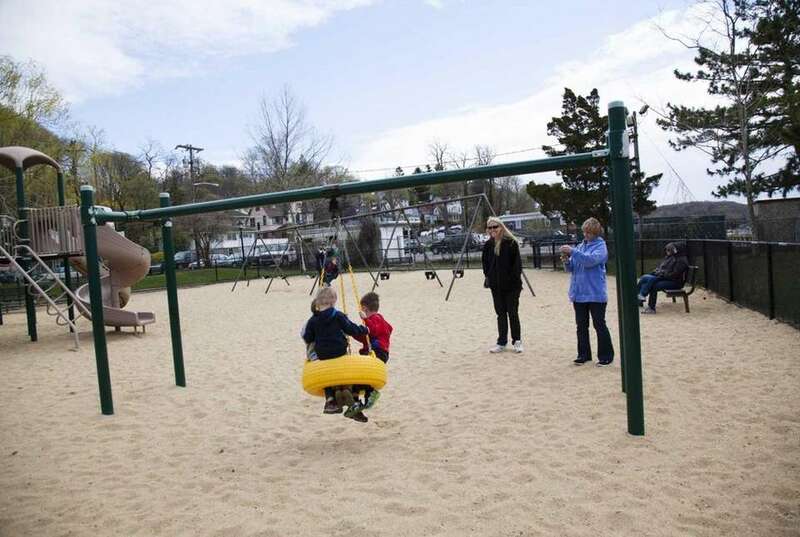 There's also a handicapped accessible playground and a smaller playground for younger children, tennis courts, dirt paths, a basketball court and a baseball field; 631-854-9699. 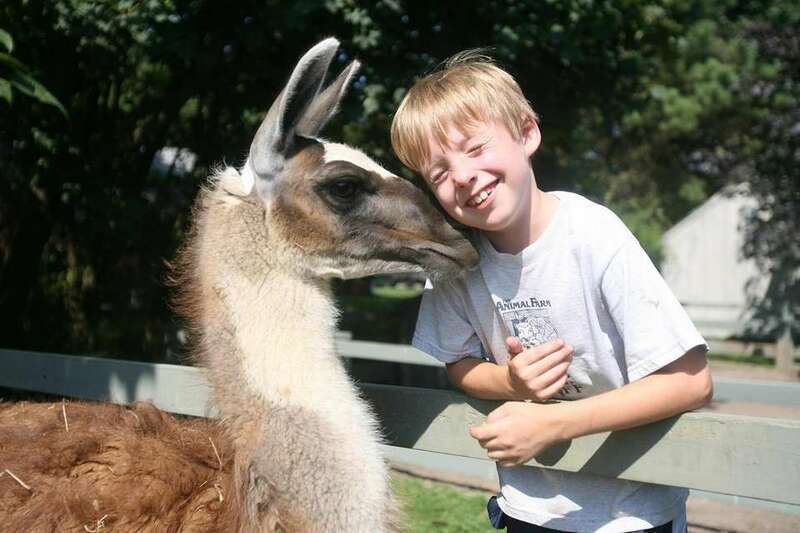 You can get up close and personal with exotic animals such as parrots, monkeys, llamas, camels, ostrich, kangaroos, reptiles and more at The Animal Farm Petting Zoo in Manorville. 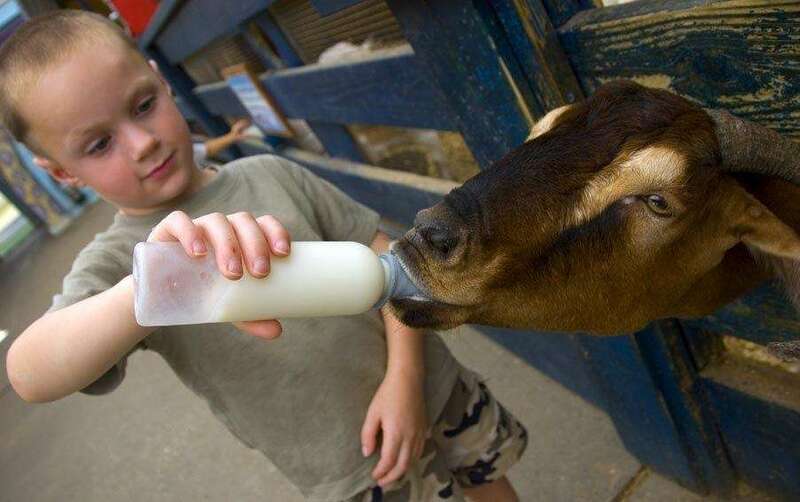 You can bottle-feed baby pigs and even get into a pen with baby goats. 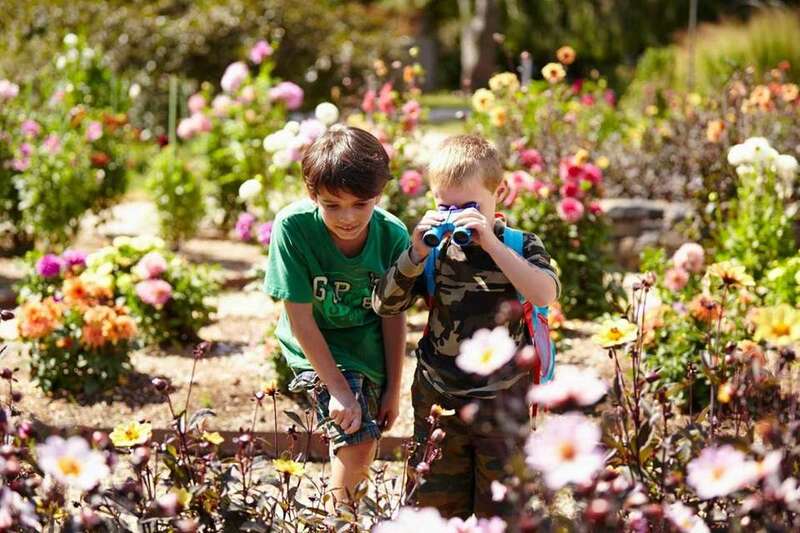 You'll also find playgrounds, picnic areas, pony rides, turtle train ride and a puppet show. Call for fees; 631-878-1785; www.afpz.org. 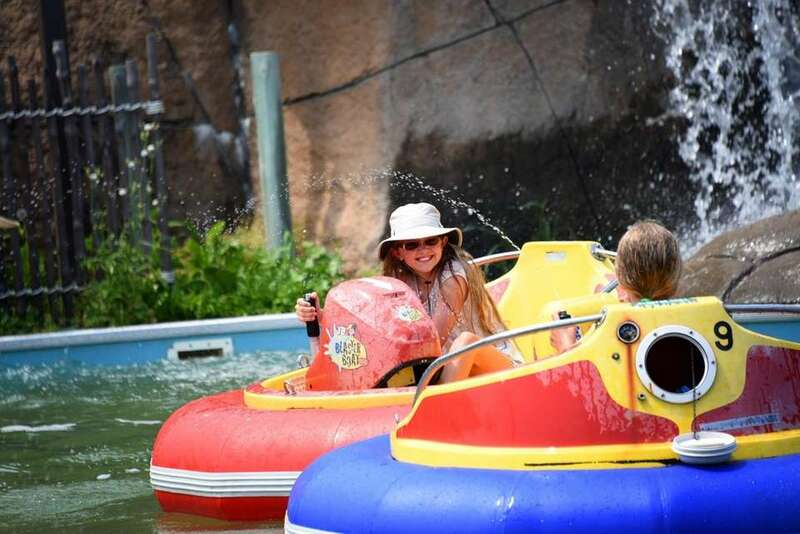 Visit Bayville Adventure Park in Bayville and enjoy a pirate-themed fun park with bumper boats, indoor rock climbing, miniature golf, ropes course, bungee bounce, train ride, 3-D Fun House, maze, video arcade and ice cream parlor. In the fall, it becomes Bayville Scream Park and during the holidays, it becomes a winter wonderland. Call or check website for pricing and more information: 516-624-4678; bayvilleadventurepark.com. Garvies Point Museum and Preserve (50 Barry Dr., Glen Cove) sits on 62 acres and has about five miles of nature trails. The woods and meadows attract various species of birds, and occasionally woodchucks, opossums, rabbits, red foxes, deer and raccoons have been spotted on the grounds. Along the shoreline and rocky beach, familes may see crabs, snails, smooth mussels and more. 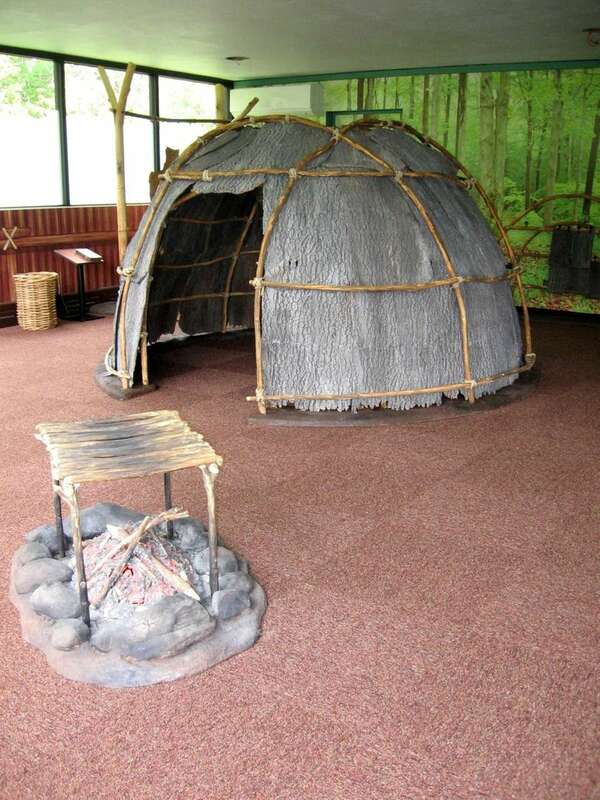 The museum features geology exhibits, "The Seasonal Round," a diorama looking at Long Island Native American lifeways, prehistoric Indian artifacts and more archaeological exhibits. The Interactive Woodland Village lets kids "plant" corn, beans and squash or "fish" from the Dugout Canoe. Garvies Point also hosts many family-friendly events throughout the year; 516-571-8010; garviespointmuseum.com. 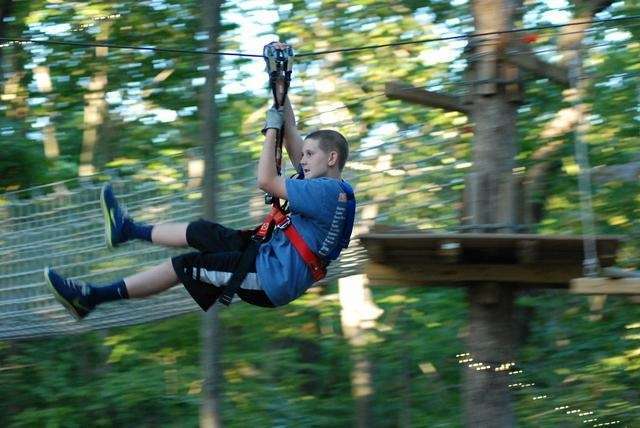 Zip lines - cables that kids, teens and grownups can ride from tree to tree - are featured at the Adventure Park at Long Island in Wheatley Heights (located within the Henry Kaufman Campgrounds at 75 Colonial Springs Rd.). The aerial forest ropes park will also include a series of "challenge bridges" between tree platforms. The zip lines and bridges are connected in a series of different color-coded "treetop trails" that range from introductory to advanced. Call for fees; 631-983-3844; longislandadventurepark.org. 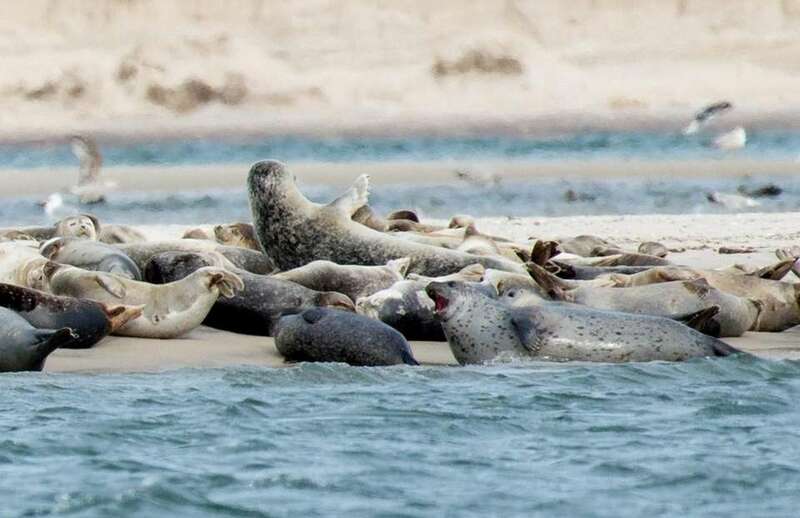 At Cupsogue Beach County Park in Westhampton Beach you can take about a 1 1/2-mile guided walk to see seals with CRESLI (Coastal Research and Education Society of Long Island between May and November. Call for fees; 631-244-3352; cresli.org. 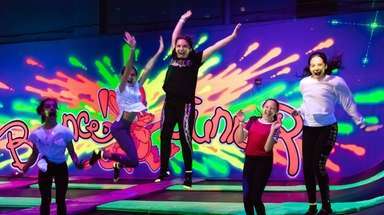 With more than 20 rides, including roller coasters, a haunted house, Ferris wheel, bumper cars and more, there's plenty for kids and adults to do at Adventureland in Farmingdale. 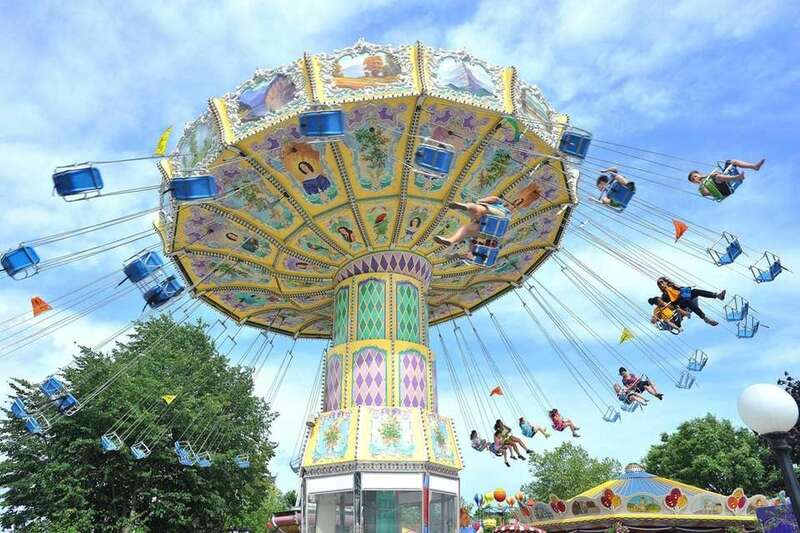 Call or check website for fees and hours: 631-694-6868; www.adventureland.us. Catapano Dairy Farm has a cheesemaking area where you can watch organic goat's milk cheese being made. You can walk through the pens and see the goats being milked as well. Tours are by appointment; 631-765-8042. Pack a picnic and head to Cow Harbor Park in Northport. It's set on the water and features a large playground for kids, dock for fishing and more; 631-261-7502; villageofnorthport.com.